Puppies are ‘temporarily’ protected against many diseases by antibodies received through their mother’s milk. These maternal antibodies decline in the first few months of their lives, however, until they drop sufficiently they can also neutralise vaccines. This is why a series of vaccinations is necessary in a puppy. Symptoms vary but can include fever, coughing, sneezing, nasal discharge, vomiting, diarrhoea, loss of appetite and depression. Muscle tremors, fits and paralysis usually occur later in the disease. Treatment is usually ineffective and the survival rate very low. Dogs that do recover may have permanent brain damage. The WVVG recognises that maternally derived antibody (MDA) significantly interferes with the efficacy of most current core vaccines administered to pups and kittens in early life. As the level of MDA varies significantly between litters, the VVG recommends the administration of three vaccine doses to pups, with the final of these being delivered at 16 weeks of age or above. In cultural or financial situations where a pet animal may only be permitted the benefit of a single vaccination, that vaccination should be with CORE VACCINES at 16 weeks of age or above. The VVG has defined NON-CORE vaccines as those that are required by only those animals whose geographical location, local environment or lifestyle places them at risk of contracting specific infections. PI2 and Bordetella vaccines fit this group ((Bronchishield 3 (BS111)). MVC preference is for BS111. The VVG strongly supports the concept of the ‘‘annual health check’’ in conjunction with annual revaccination where appropriate. The annual health check may still encompass administration of selected NON -CORE vaccines which are generally administered annually. The recommendation of the VGG is for initial vaccination at 8 to 9 weeks of age followed by a second vaccination 3 to 4 weeks later, and a third vaccination given between 14 to 16 weeks of age. By contrast, at present many vaccine data sheets recommend an initial course of two injections. Some products are also licensed with a ‘10 week finish’ designed such that the second of two vaccinations is given at 10 weeks of age. The rationale behind this protocol is to permit ‘early socialisation’ of pups. 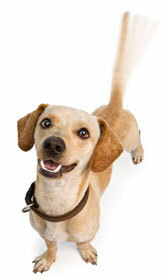 The VVG recognises that this is of great benefit to the behavioural development of dogs. Where such protocols are adopted, some caution should still be maintained by the owner – allowing restricted exposure of the pup to controlled areas and only to other pups that are healthy and fully vaccinated. All dogs should receive a first booster 12 months after completion of the primary vaccination course. The VVG redefines the basic immunisation protocol as the ensemble of the pup regime plus this first booster. The 12 month booster will also ensure immunity for dogs that may not have adequately responded to the pup vaccination course. The vaccine used will be Duramune C5 (3 year C3 and BS111 protection) (a CORE & NON CORE vaccine) . years for CORE Vaccines and annually for NON CORE vaccines , unless special conditions apply. Non core vaccines should be given annually eg., the canine cough vaccine BS111. 1st booster at 15 months with C5 (Triennial C3 and BS111). Booster C3 at appropriate intervals (3 yearly).